Reverse engineering (now does the title make sense?) is a common and legitimate business practice. The recent federal Defend Trade Secrets Act specifically excludes reverse engineering from the definition of misappropriation. 18 USC §1839(6) (“the term ‘improper means’ . . . (B) does not include reverse engineering.”). 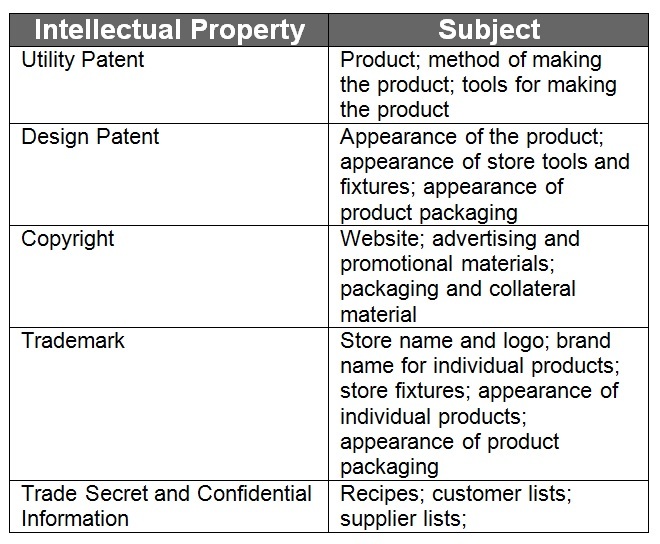 While the Uniform Trade Secrets Act (some form of which is in force in 48 states and the District of Colombia) does not expressly mention reverse engineering, the Comments to Section 1 adopt the Restatement of Torts position that “Discovery by ‘reverse engineering’, that is, by starting with the known product and working backward to find the method by which it was developed” is not an improper means of acquiring a trade secret (provided the acquisition of the product was by a fair and honest means). Thus if an unpatented product is acquired legally, and there is no enforceable promise not to reverse engineer, the owner of the product is free to analyze and copy the product. Some courts have enforced “no reverse engineering” clauses. However after Impression Products, Inc. v. v. Lexmark International, Inc, such restrictions may not be enforceable beyond the first purchaser, and in any event, at least some courts have found such “no reverse engineering” clauses unenforceable, for example where they interfere with the fair use of computer software. A business including reverse engineering as part of its product development process should be careful not to cast its own activities in a false light. Emails and other internal documents referring to the business’ reverse engineering efforts as “knocking off” or similarly disparaging terms, may unfairly portray the company and its products should there be litigation in which the these documents come to light. A business should instead accurately characterize its efforts as developing non-infringing competitive products, of which reverse engineering is just one part. See K&G Oil & Tool Service Co. v. G&G Fishing Tool Service, 158 Tex. 94, 314 S.W.2d 782, 785-86 (1958)(enforcing a negotiated agreement not to reverse engineer); Pioneer Hi-Bred Int’l, Inc. v. DeKalb Genetics Corp., 51 U.S.P.Q. 1987 (S.D. Iowa 1999)(enforcing “bag tag” restrictions on use of seed for research purposes). Lori Shubert and her company Cupcake Sushi, LLC filed an interesting lawsuit against Santiago and his associates doing business as Sushi Sweets, for patent infringement, trademark infringement, misappropriation of trade secrets, common law trademark infringement, federal and state unfair competition, and trade dress infringement. 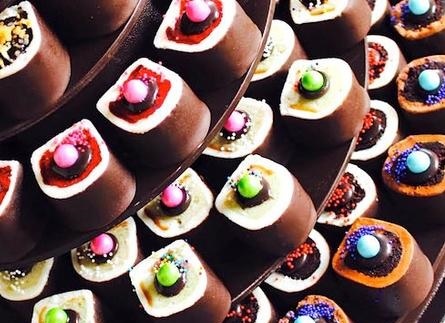 Shubert claims to have invented a unique confectionery dessert cake: cupcake sushi. Shubert has apparently built a thriving business in Key West Florida. According to the complaint, Santiago, a former licensee and employee of Cupcake Sushi, absconded with product, equipment and Cupcake Sushi’s trade secrets. Shubert clearly had an interesting and appealing idea, and while she took some steps to protect it, she probably should have formed a more comprehensive plan at the outset. As she pleads in her lawsuit she applied for a utility patent (14/487364), she allowed the application to abandon. She also applied for and obtained a design patent (D789,025) but filed the application several years after she claims to have developed her product. Even if this patent validly protects a later design, she left her earlier designs exposed. While she did register her CUPCAKE SUSHI name and logo (Reg. Nos. 4471750 and 4770652), she might have also tried to protect her products names and appearances. Shubert may have learned another important lesson about protecting confidential information. A confidentiality agreement does not make a dishonest person honest. The most important steps in protecting confidential information is limiting disclosures to people who can be trusted. Shubert may have to also have to face the fact that no matter how comprehensive your intellectual property protection, there will always be some way for other to compete. Good luck to Ms. Shubert, but if things don’t work out, there are always other fish in the sea. While an implied-in-fact contract — a contract where none really existed — is well recognized legal doctrine, this case appears to present a new doctrine — implied-in-fact consideration. While most cases enforcing rights in ideas require that the idea be both concrete and confidential, many of the aspects of Daniels’ idea appear to have been publicly available. Her company, Moodsters Company, obtained a copyright registration (PA0001394057) on a pilot The Moodsters: Amoodsment Park Mixup, claiming a date of first publication of June 1, 2007. There have been Moodsters websites, and Daniels and her company have of and on been trying to register various Moodsters trademarks for more than a decade. 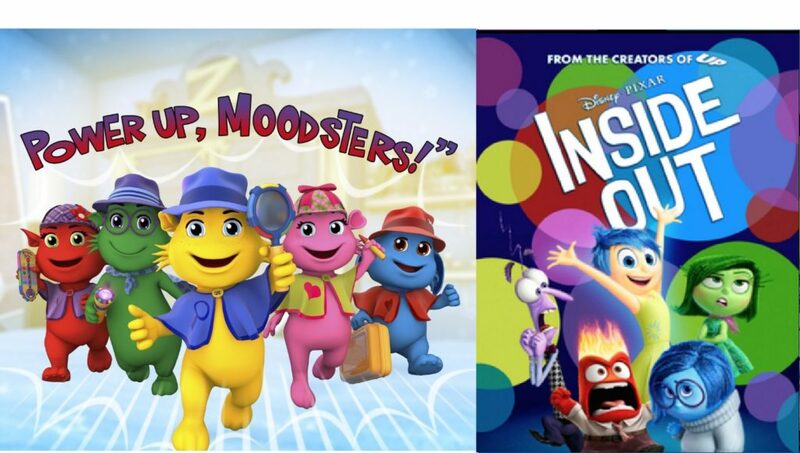 If the Moodsters are as publicly available as it appears, what did Daniels bring to Disney-Pixar that wasn’t already available to anyone? Is it possible that Disney-Pixar is in a worse position for talking to Daniels, than someone who just referenced her public domain materials. The answer is clearly yes. Not because Daniels is certain to win, but rather because even if Disney-Pixar is in the right, they now have to defend themselves. Daniels reminds us that even in the absence of a confidentiality agreement, there is a risk receiving information from a third party. Rather than expose oneself to the vagaries of an after-the-fact contract, you may be better served with an explicit contract spelling out your obligations (or lack of obligations) to the disclosing party. The perfect confidentiality agreements is, in most cases, overkill and in any event probably never would be signed. Hundreds, if not thousands of CDAs, NDAs, and other secrecy agreements are signed every day, and the vast majority perform adequately for their purpose. Rather than chase perfection, the parties should focus on avoiding mistakes. Prevent disclosure and use. The disclosing party should make sure that the agreement not only prevents disclosure but also use of the confidential information. Define protected information. The definition of protected information should include anything that the disclosure is likely to disclose. The disclosing party should resist requirements that could result in accidental forfeiture, such as requirements that the information be marked confidential or that oral disclosures must be confirmed in writing. Define the time. The duration of the receiving party’s obligations should be clearly defined, as should the period of time during which the disclosing party can disclose information under the agreement. Have an enforcement plan. If the party to the agreement discloses or uses the information, there is a breach of contract action. However, if a rogue employee or contractor, who is not a party to the agreement, discloses or uses the information, what is the plan? The agreement can provide a right of enforcement, or require the receiving party to enforce the agreement on the disclosing party’s behalf. Unnecessary obligations. While it is easier to get a reasonable agreement when the provisions are mutual, a disclosing party should not accept confidentiality obligations to the receiving party if it does not need to. Disclosing Party Options. Ownership. The disclosing party may want to control ownership of inventions inspired by the disclosed invention. Non-filing. The disclosing party may want to restrict the receiving party from filing patent applications on subject matter inspired by the disclosure. No Export. The disclosing party may want to prevent export of the information. Choice of law. The disclosing party may want to select law that will protect the disclosed information. Choice of forum. The disclosing party may want to select a forum that is convenient and reliable, No warranties. The disclosing party may want to disclaim any warranties about the disclosed information. No obligation. The disclosing party may want to disclaim an obligation to deal further with the disclosing party. Exceptions. The receiving party should define exceptions to its obligations for information that is already in the public domain; information that the receiving party already had in its possession, and information that subsequently comes into its possession other than from a breach of duty to the disclosing party. Define the time. The receiving party needs to know how long to maintain confidentiality, and how long the disclosing party can make disclosures that the receiving party has to protect. Receiving Party Options. Confidentiality. The receiving party may want some protection for its own information that it might exchange with the disclosing party. No obligation. The receiving party may want to disclaim an obligation to deal further with the disclosing party. Choice of Law. The receiving party may want to know the law that applies to the construction and enforcement of the agreement. Choice of forum. The receiving party may want to limit where it can be sued to enforce the agreement. Ownership of developments based upon disclosed information. Promise not to file filing patent applications on subject matter inspired by the disclosure. No Export of the disclosed information. Choice of law that applies to the agreement. Choice of forum where agreement can be enforced. Disclaimer of warranties regarding the disclosed information. Disclaimer of obligation to deal further with the other party. In Evans v. Building Materials Corporation of American, [2016-2427](June 5, 2017), the Federal Circuit affirmed the denial of a motion to dismiss a complaint for patent infringement and trade dress infringement. Evans sued alleging that after termination of the agreement, GAF made and sold infringing roofing models. GAF moved to dismiss or stay pending arbitration, invoking the arbitration clause. The district court found that 2009 agreement has expired, and thus did not apply, and alternatively, that the present dispute did not “arise under” the terminated 2009 agreement. The Federal Circuit found GAF’s contention “wholly groundless.” The Federal Circuit said that the arbitration clause only reaches claims arising under the 2009 agreement. GAF conceded that under controlling Fourth Circuit precedent the focus is “whether the claims at issue have a direct nexus to the contractual obligations, and more specifically, whether the claims are ‘related to the interpretation and performance of the contract itself.’” The Federal Circuit noted that the “arising under” language was narrower than “relating to” — under which a claim may be arbitrable if it has a “significant relationship” to the contract, regardless of whether it arises under the contract itself. One of the primary purposes of an employee agreement is to protect the confidential information of the employer, as well as the employers suppliers and customers. The agreement should obligate the employee to protect all confidential information that the employee reasonable knows the employer regards as confidential, regardless of whether the information is marked confidential. While in some jurisdictions it may be possible to get an injunction against an former employee from competing with the former employer where it is inevitable that the former employee will disclose or use the former employer’s trade secrets, generally the only way to stop a former employee from competing is with a specific covenant not to compete. Even with such a covenant, the protection is usually limited to instances where the departing employee had access to trade secrets or had contacts with customers. While current employees cannot complete with their employer, they are generally permitted to prepare to compete. However such preparation is something that an employer might be able to restrict by contract, for example requiring an employee refrain from making preparations to compete with the employer while still employed, or preventing an employee from working with current or former employees in preparing to compete with the employer while still employed. The employer should also consider requiring employees to report any breach of the non-compete provisions, so that it gets timely notice of problems. To facilitate enforcement of a covenant not to compete, the employer might require the employee to keep the employer advised of subsequent employers. The employer should further obtain a consent of the employee to contact subsequent employers to advise them about their new employees obligations to the former employer. Otherwise, the employer could face a claim of tortious interference from the former employee. Aside from confidentiality, the critical function of employee agreements is to transfer employee inventions to the employer, The agreement should require the employee to promptly disclose new inventions to the employer. The agreement should also include a promise to assign inventions, as well as a present assignment of inventions. Employers should be careful, however, because some states restrict the inventions that an employer can require an employee inventor to assign. The employer should include a specific consent by the employee to file a patent application on any invention made by the employee during the term of employment. The employer should also consider an agreement not to contest any patents that are obtained. While the courts generally won’t entertain such attacks because of assignor estoppel, but the Patent Office will allow inventors to attack the patent through inter partes review. To protect against the situation where an inventor is unwilling or unable to execute a subsequent assignment document, the employer might include a power of attorney, so that an officer can execute assignment document on behalf of the employee. Particularly where an employee has a history of inventing, the employer should consider requiring new employees to identify previously made inventions that the new employee may claim do not belong to the inventor. While copyrightable works prepared by employees in the scope of their employment are works-made-for-hire that belong to the employer, works prepared by employees outside the scope of their employment — even if they relate to the employer’s business — belong to the employee. An employee agreement can of course change this result, and the employer should ensure that it obtains ownership or at least the right to use all of the works of its employees that relate to the business. The Computer Fraud and Abuse Act (can corresponding state laws) provides some protection from disloyal employee’s misuse of the employer’s computer systems and data. However, this protection hinges on whether or not the employee’s access to the computer system and data was authorized. Since most employees are on some level authorized users. it is important for an employer to define what access is authorized, and what access is not. The Employer should specifically require the return of any employer property and information by a specific date. The failure of a departing employee to do so is surprisingly common, and gives the employer legal leverage over the departing employee. Employee names and likenesses are often incorporated into the employer’s marketing, and the employer would prefer not to have to rework these materials every time an employee departs. Thus, an employer should obtain the express consent of employees to use their names and likenesses in promoting the employer, and this consent should survive the termination of the employee’s employment. For employees that are active on social media, the employer should consider imposing some restrictions on employee conduct on social media. The employer might require that employees not associate the employer with their personal posts. The employer might also require that the employee not comment about the employer, or at least comment negatively about the employer. Occasionally, whether by design or by accident, an employee who is active on social medial becomes the official or unofficial voice of the employer. The employer needs to consider what happens to the employer’s social medial presence when this employee leaves. Does the employer get to take over the account? Does the employer have the user name and password? Protects Company information and that of customers and suppliers from disclosure or use. Prevents export of information (if appropriate). Appropriately limited in geographic scope or time. Protects confidential information and/or customer contacts. Includes preparations to compete while employed. Appropriate definition of invention (consistent with state law). Requirement of prompt disclosure (of all inventions including those not subject to obligation to assign). Automatic, immediate assignment of inventions when made, as well as a promise to assign inventions. Power of attorney to execute confirmatory assignment on behalf of employee. Treatment of inventions made in period after termination of employment. Access limited to activities that solely benefit employer and no other purpose. Acknowledgement that accessing computer system or data for any purpose other than for the benefit of the company is unauthorized. Acknowledgment of and consent to monitoring of computer usage, email, and company resources. Consent to use name and image in advertising and promotion, even after the employee leaves. Restrictions on references to employer on social media, including in usernames or scree images on any social media. Requirement to turn over login information for any social media accounts officially or unofficially associated with employer. Modifications must be in writing. Duplicates and Facsimiles of Agreement are effective. Unhappy with the valuation determination by Zillow’s Zestimates a builder and related parties have initiated a class action suit against Zillow Inc. and Zillow Group, for class action complaint for (a) violation of the Illinois Real Estate Appraiser’s Licensing Act, (b) the tort of invasion of seclusion; (c) violation of the Uniform Deceptive Trade Business Practices Act and (d) for violation of the Illinois Consumer Fraud and Deceptive Business Practices Act. The plaintiffs don’t like Zillow sharing its opion on the value of their properties, and want the courts to stop Zillow from sharing that opinion. Plaintiffs allege that Zillow is somehow invading their “seclusion,” but of course planitiffs don’t have to look at the Zestimates. Zillow is not publishing private facts about plaintiffs, but rather Zillow’s opinion, based upon public information. Does anyone have the right to stop another from forming an opinion, or expressing that opinion? In the 1-5 star, thumbs up/thumbs down, swipe left/swipe right world in which we live, opinions are constantly being formed and expressed, a person is entitled to secure in personal facts from prying eyes, but a Zestimate is not a personal fact of the property owner, it is a third party opinion the property owner does not own or control. #1 The threat is from within. Like the scary story punch line – the call is from inside the house. Most of the DTSA cases in the first year have involved former employees. #2 The tools of espionage are mundane. No need for James Bond’s Q here, the implements of trade secret misappropriation are as simple as emailing the secrets to a personal email account, loading up a flash drive, using drop box, logging on the company systems, or keeping a company lap top. #3. The DTSA applies to continuing use of a Trade Secret taken before the Effective date. The most frequently litigated DTSA issue in the first year is the application of the DTSA to trade secrets taken before the May 16, 2016, effective date. Although this will diminish in importance with time, the cases hold that the DTSA covers the continued use after the May 16, 2016, effective date, of trade secrets obtained before the effective date. The DTSA does not apply to misappropriations only occurring prior to enactment, and the courts will dismiss a Complaint under the DTSA unless and until the plaintiff can allege an act after the effective date. Conversely the courts will allow amendment to add a DTSA claim where plaintiff can allege post effective date use. #4 The Courts are willing to grant preliminary injunctions based upon the DTSA. The Courts apply the traditional four-factor test for the grant of a preliminary injunction. In evaluating the balance of hardships the fact that the injunction does not require more than compliance with federal and state law weights in favor of a preliminary injunction. #5. The DTSA seizure provisions are not the exclusive ex parte remedy. The DTSA provided for ex parte seizure, which can be a helpful tool in investigating and combatting trade secret misappropriation. However, the rules are complex, if not onerous. In appropriate cases, it may still be faster and easier, and just as effective, to go old school and seek a TRO under trade secret. #6 The Trade Secret Owner (obviously)doesn’t have to disclose its trade secrets in its Complaint to protect those trade secrets. Nor is there any heighted level of pleading required for a DTSA complaint. #7. You shouldn’t count on the DTSA to stop your former employees from competing with you – that’s what non-compete agreements are for. In the absence of a non-compete provision, courts will restrict an individual’s employment only where the individual has stolen its former employer’s trade secrets and there is a high probability that the individual will “inevitably disclose” this information to its new employer. #9. Defendants may attempt to hide behind the “whistle blower” provisions. Plaintiffs who live in glass houses should not throw stones. Trade secret owners, like all prospective plaintiffs, should consider potential adverse consequences of bringing suit. Is there something that the potential defendant could tattle about? #11. Restrictions of injunctions against employees may not apply to contactors. Under the DTSA, the Court cannot grant an injunction that “prevent[s] a person from entering into an employment relationship,” and the Court can only place conditions on employment “based on evidence of threatened misappropriation and not merely on the information the person knows.” 18 U.S.C. § 1836(b)(3)(A)(i)(I). There is no indication that “employment relationship” encompasses the role of an outside contractor. #12. The balance of hardships favors the trade secret owner where the injunction would merely require defendant to comply with federal and state law. #13. The DTSA won’t help those who don’t help themselves. Like the UTSA, the DTSA requires that the trade secret owner take some responsibility for securing the alleged trade secret. Allstate Ins. Co. v. Rote, 16–cv–1432, 2016 WL 4191015, at *1–5 (D. Or. Aug. 7, 2016) (granting preliminary injunction in DTSA case where the defendant left her job before the DTSA was enacted but remained in possession of alleged trade secrets after the DTSA’s enactment); Syntel Sterling Best Shores Mauritius Ltd. v. Trizetto Grp., Inc., 15–cv–211, 2016 WL 5338550, at *6 (S.D.N.Y. Sept. 23, 2016)(finding viable a continuing misappropriation claim that began pre-enactment because the DTSA defines misappropriation as the “disclosure or use of a trade secret” and the complaint alleged that the defendants “continue[d] to use” the trade secrets after the DTSA was enacted) (emphasis in original); Brand Energy & Infrastructure Services, Inc. v. Irex Contracting Group, 16-2499 2017 WL 1105648 (E.D. Pa. March 24, 2017) (denying motion to dismiss as to continuing misappropriation that started prior to effective date); High 5 Games, LLC v. Marks, 13-7161 (JMV) 2017 WL 349375 (D.N.J. January 24, 2017)(granting motion to amend to add DTSA claim). Champions League, Inc. v. Woodard, 2016 WL 8193292 S.D. New York. December 15, 2016 (Denying leave to amend complaint to add DTSA claim because it would be futile because the DTSA applies only to acts of misappropriation that occur on or after the May 11, 2016, date of the enactment of the Act); Avago Technologies U.S. Inc. v. Nanoprecision Products, Inc., 16-cv-03737-JCS 2017 WL 412524 (N.D. California. January 31, 2017)(granting motion to dismiss where all of the actionable conduct alleged in the Counterclaim occurred before the DTSA came into effect)..
 Dazzle Software II, LLC v. Kinney, 16-cv-12191 2016 WL 6248906 (E.D. Michigan August 22, 2016), (Dismissing DTSA Count with leave to amend upon discovery of conduct following effective date of the act). Hydrogen Master Rights, Ltd. v. Weston, 16–474–RGA 2017 WL 78582 (D.Del. January 9, 2017)(DTSA Claims dismissed without prejudice because (1) the complaint fails to allege any nexus between interstate or foreign commerce; and (2) because he DTSA, by its own terms, applies only to an act of misappropriation that occur on or after the date of the enactment, and the Complaint only contains a conclusory allegation of continuing use and disclosure. ); M.C. Dean, Inc. v. City of Miami Beach, Florida, 199 F.Supp.3d 1349 2016 WL 4179807 (S.D. Florida. August 08, 2016)(granting motion to dismiss for failure to state a claim); Cave Consulting Group, Inc. v. Truven Health Analytics Inc., 5-cv-02177-SI 2017 WL 1436044 (N.D. California. April 24, 2017) (Dismissed although agreeing post enactment use would be sufficient); Chubb INA Holdings Inc. v. Chang, 16-2354-BRM-DEA 2016 WL 6841075 (D. New Jersey. November 21, 2016)(granting motion to file amended complaint alleging violation of DTSA.). VIA Technologies, Inc. v. ASUS Computer International, 4-cv-03586-BLF 2017 WL 491172 N.D. California, San Jose Division. February 07, 2017(Granting Leave to Amend Complaint to add DTSA claim after discover showed post enactment use.). Mission Measurement Corporation v. Blackbaud, Inc., 16 C 6003 2016 WL 6277496 (N.D. Illinois, October 27, 2016)(Denying motion to dismiss DTSA claim, noting trade secrets need not be disclosed in detail in a complaint alleging misappropriation for the simple reason that such a requirement would result in public disclosure of the purported trade secrets.). Chubb Ina Holdings Inc. v. Chang, 16-2354-BRM-DEA 2017 WL 499682 (D. New Jersey February 07, 2017)(Denying motion to dismiss DTSA for failure to state claim because complaint included sufficient “factual allegations to raise a right to relief above the speculative level” that Defendants did, in fact, use Plaintiffs’ trade secrets, and noting “there is no heightened pleading standard for a misappropriation claim.”). Unum Group v. Loftus, 4:16–CV–40154–TSH 2016 WL 7115967 (D. Massachusetts. December 6, 2016)( Denying motion to dismiss, granting preliminary injunction despite argument that defendant’s actions were exempted under § 1836(b) of the DTSA, which provides immunity under any federal and state trade secret laws to individuals who disclose trade secrets in confidence to an attorney, “solely for the purpose of reporting or investigating a suspected violation of law.). VIA Technologies, Inc. v. ASUS Computer International, 4-cv-03586-BLF 2017 WL 491172 N.D. California, San Jose Division. February 07, 2017(Finding differences between DTSA and uniform trade secret act did not justify denying motion to add DTSA claim to trade secret suit). Kuryakyn Holdings, LLC v. Ciro, LLC 15-cv-703-jdp 2017 WL 1026025 (W.D. Wisconsin. March 15, 2017)(“The DTSA gives rise to a federal cause of action, but the parties agree that substantively the UTSA and DTSA are “essentially the same,”). Raben Tire Co., LLC v. McFarland, 5:16-CV-00141-TBR 2017 WL 741569 (W.D. Kentucky, Paducah Division. February 24, 2017)(Noting that Raben Tire Co.’s complaint is entirely devoid of any allegations of how it protected the information in question from dissemination. ).